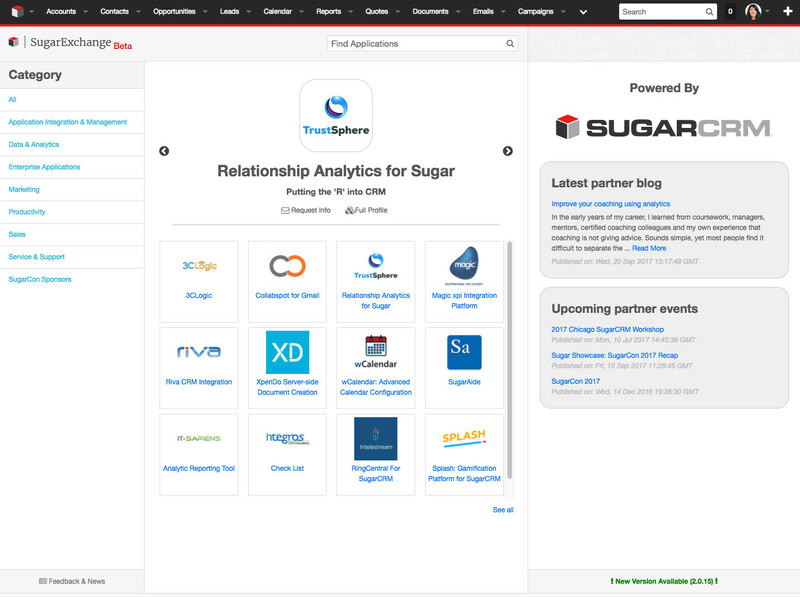 SugarExchange in Sugar (Beta) SugarCRM, Inc.
Bring SugarExchange into your Sugar instance! Do you love SugarExchange? So do we! With this "SugarExchange in Sugar" add-on, you can showcase all the great innovation from our partners directly in the Sugar! 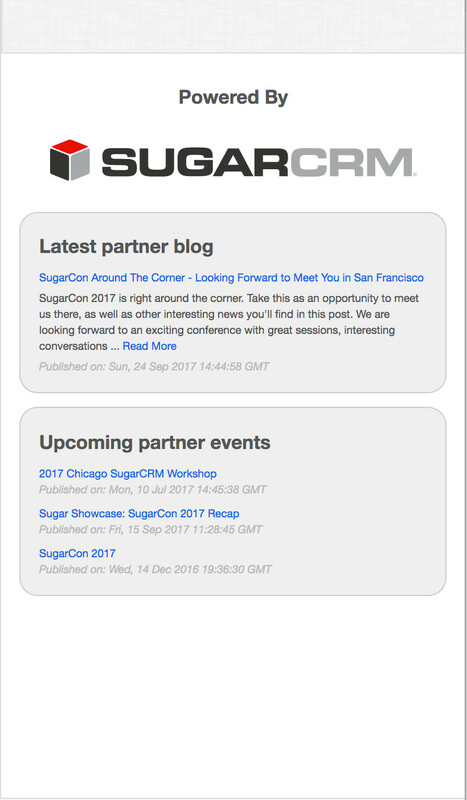 Check out the latest news and partner events posted in the partner corner! Complete profile information is available in the intelligence panel. Browse the overview, description, and even watch demo videos all from within Sugar! 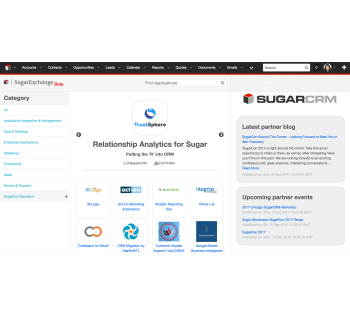 Provide feedback and suggest ideas through the SugarCommunity. Get more info from the partner by filling out the information request form.